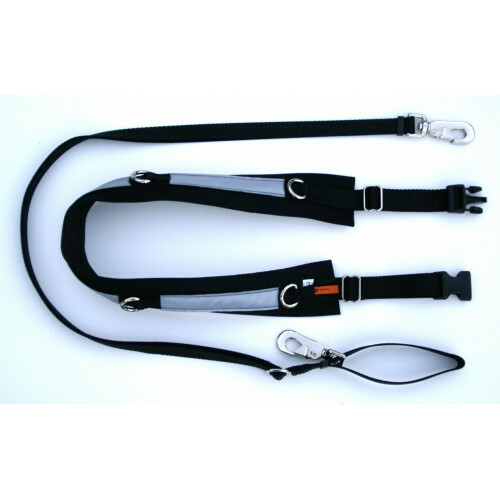 The Hipster© Walking Belt and Leash is a Hands free tool for walking or jogging. 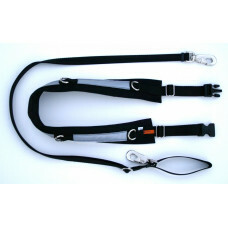 It has reflective tape on the belt to make you more visable while walking. 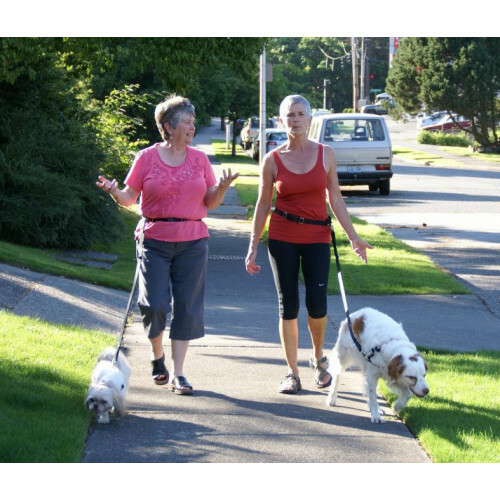 The nubby neopryene on the inside of the belt grips your clothing and cannot slip down and around your hips or waist if your dog is extremely active as you are walking. 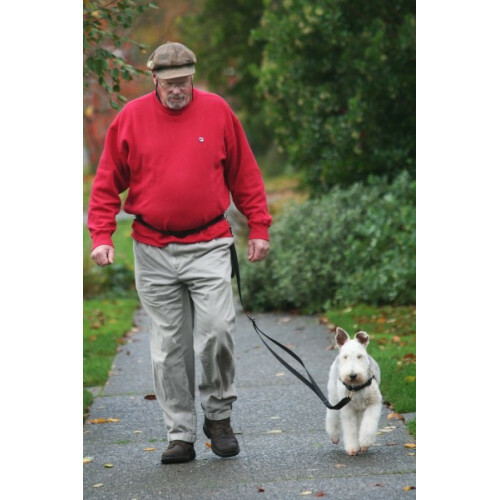 The Hipster© is a non-slip walking/jogging belt designed for hands free walking of one or two dogs.Mom's love this as an easy way to walk the dog while they are pushing a stroller. 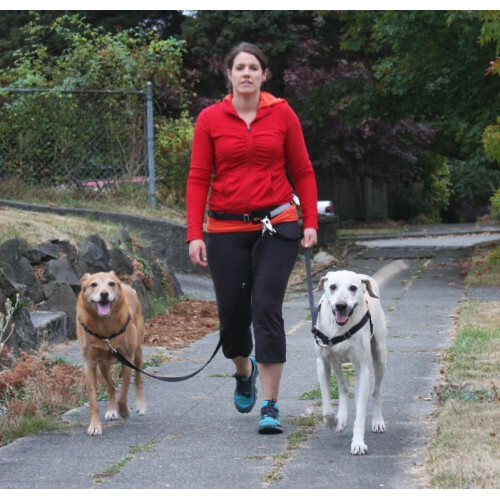 Take the kids and dog out at the same time. 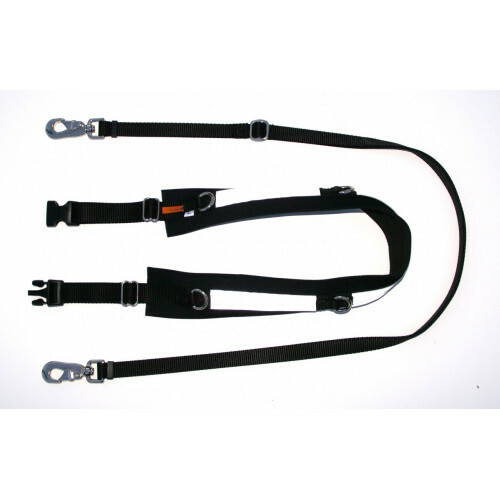 The leash attaches to the belt with a heavy duty snap so you may easily unsnap the leash and use it like a regular leash. There is a handle built in to one end of the leash. Large Hipster© adjusts from 38 to 46 inches. X-Large Hipster© adjusts from 42 to 54 inches.